Cher is an Expressive Arts Therapist, Trauma Specialist, Certified Compassion Fatigue Specialist and Therapeutic Touch Recognized Practitioner, with over 17 years experience working with families, children, youth and adults. She has experience working broadly across the GTA within health and social service agencies and in school settings supporting individuals living with life limiting illness, trauma, complex and traumatic grief, anticipatory grief and loss, mental health issues such as depression and anxiety and addictions. Cher subscribes to the code of ethics and standards of practice of the Ontario Psychotherapy Association and OACCPP. She completed training in the field of expressive arts therapy at CREATE Canada in 1999 at which time she started a private therapy practice which she continues to operate and enjoy - Bigheart Integrative Arts Therapy Studio www.bigheartstudio.com. She acquired a certificate in Narrative Therapy in 2015 and MBCT (Mindfulness Based Cognitive Therapy) and is currently at supervision level of a Certification as a Clinical Trauma Specialist through the Traumatology Institute Canada. She continues to bring new learning and skills to her practice through ongoing professional education such as Mindfulness Meditation, TF-CBT for children, Narrative Therapy and Emotional Freedom Technique (EFT) and these are incorporated into Cher’s work with individuals. She uses a number of highly effective treatment therapies for resolving traumatic event symptoms that interfere with present living in addition to offering clinical trauma assessments. Cher is grounded, calm, highly compassionate, energetically strong and balanced making her a soothing presence as therapist, body energy therapist and trauma specialist. Although talk therapy is common when visiting Cher she encourages creative expression within a variety of art modalities that include; visual arts, music and voice, poetry, writing and storytelling. Her relationship with individuals is guided by a person centered approach, genuine caring and respect and her belief in the capacity for healing and growth. 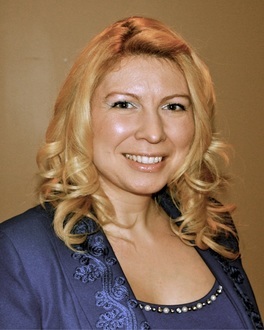 She infuses her practice with positive life energy and dedication and utilizes creative arts techniques in a gentle, sensitive and active way. Cher’s experience in the use of body energy therapy with individuals living with the effects of trauma symptoms, depression, anxiety, and physical and emotional pain has proven to be a highly beneficial process for many. The body energy therapy process is based largely on the feeling sense of the body and is not entirely a cognitive one. Cher has found this to be ideal in calming and soothing somatic responses to trauma. Cher has provided consultation, program development, trainings, group facilitation, and therapy services with the following agencies: Dorothy Ley Hospice, Toronto East General Hospital, UHN Recreational Therapists, The Voice Of Older Adult Centres, Native Child and Family Services, Aids Committee of Toronto (ACT), Sherbourne Health Centre, Casey House Hospice, Hospice Toronto, Trillium Health Centre, Bereaved Families of Toronto, Bereaved Families of Halton Peel, Gildas Club, Wellspring, Alzheimer's Society, Rexdale Community Health Centre and Toronto’s Ronald McDonald House. Cher is deeply involved in her own healing work and regularly receives treatments in modalities that are the same or similar to those she offers. She believes that art is a healing agent that works from within and enjoys living her life through creativity. From a young age Sarah was inspired by the transformative nature of the wilderness and adventure experiences in her own life as well as in the lives of others. This interest sparked a lifelong connection to nature and a commitment to fostering the health and resilience of individuals, families and communities. Inspired by the powerful and inherent nurturing force of nature through the connection of the body, self and others, she continues to be passionate about facilitating adventure experiences that cultivate personal discovery and social change. Sarah has spent the last 10 years leading and facilitating wilderness and adventure therapy experiences with youth with addiction and mental health concerns, and women who are survivors of violence. As an Aboriginal (First Nations, Metis, and Inuit) mental health counselor at White Owl Native Ancestry in Kitchener, Ontario, Sarah came to appreciate the value of a holistic approach in addressing issues connected to trauma, addiction and mental health and carries this forward in her work today. Sarah graduated with an undergraduate degree in psychology from the University of Guelph and has a Masters of Social Work from the University of Windsor. Prior to her work as a trauma therapist at the Attachment and Trauma Centre for Healing (ATTCH), Sarah was the Outward Bound Canada Coordinator at Portage Ontario, a residential treatment centre for youth with addictions. During this time, Sarah facilitated wilderness and adventure experiences including multi-day dogsledding, canoeing, rock climbing, and hiking trips as well as day programs for groups of 4 to 40 people. Sarah also practices as a Therapist in the School-Based Program at Pathstone Mental Health in St. Catharines, Ontario. Sarah has been a sessional instructor at Brock University where she taught Adventure-Based Learning in Recreation. As a yoga instructor, Sarah finds the healing power of mind-bodywork and integrating sensory and somatic experiences to be an important part of her approach to therapy. Sarah specializes in working with children, youth and families facing challenges connected to trauma, attachment, grief and loss, mental health and addictions. Sarah utilizes Narrative Therapy, Dialectical Behaviour Therapy (DBT) techniques, mindfulness-based Cognitive Therapy, self-compassion, attachment-focused therapy, ecotherapy and expressive art therapy. Her clients have characterized Sarah as compassionate, grounded, non-judgmental, engaging, calming and supportive in their process of healing. She has felt fortunate to witness the journeys of personal growth and recovery through her work in various roles as a therapist, educator, advocate and facilitator. Carol Cowan (Prentice) is a Registered Social Worker, Emotional Freedom Technique Practitioner and Trainer, Yoga Instructor and Reiki Practitioner. Carol is known for her exquisite blend of Western Psychology and Eastern Healing traditions as she guides each of her clients closer to experiencing profound peace in their lives.